beauty is within: Prize Giveaway #2: Win 4 mini beauty products for your handbag! Prize Giveaway #2: Win 4 mini beauty products for your handbag! Today I purchased 4 mini beauty products for my second prize giveaway. I chose these Bourjois cosmetics because they are very convenient and easy to carry around, especially when travelling or going out. Bourjois is a very looking forward company that has some great products and I must confess that I really love the concept of producing the same products in smaller size for two reasons. Firstly, because they fit even in the tiniest clutches and secondly because they never get to expire -as normal size products do! One (1) lucky winner will win four very useful makeup products: a pink blush, a shimmery white eyeshadow, a black mascara and a dark nailpolish. I am sure most of you already own most of these cosmetics (not in the specific brand) bacause they are probably among the most common in makeup kits. But now you are given the chance to have them with you at all times! I made sure that all of these items were totally wearable and suit all skintones. This contest is open to everyone who wants to win! All entries must be submitted by November 30th, 2010 at 11:59 PM (EEST). The winner will be chosen randomly and notified via e-mail. It is really simple! If you are not a follower already then just become one and leave a comment on any of the posts.... Do not forget to leave your email address! oohh i'd LoVE to try these blushes :) please enter me! I love the little mini blush. I saw the girls of Pixiwoo using them the other day. We don't have them here in Canada so I would love the chance to give them a try. Love it, enter me please! New follower via GFC! I would love to win some Bourjois stuff! I love them! I'm a new follower, please enter me! I would LOVE to be entered, these items are gorgeous! Woohoo! I would love to try this! :) Thanks for visiting my blog! I'm now a follower! Toni thanks for doing so! It is so kind of you!!! Love To enter , please ! 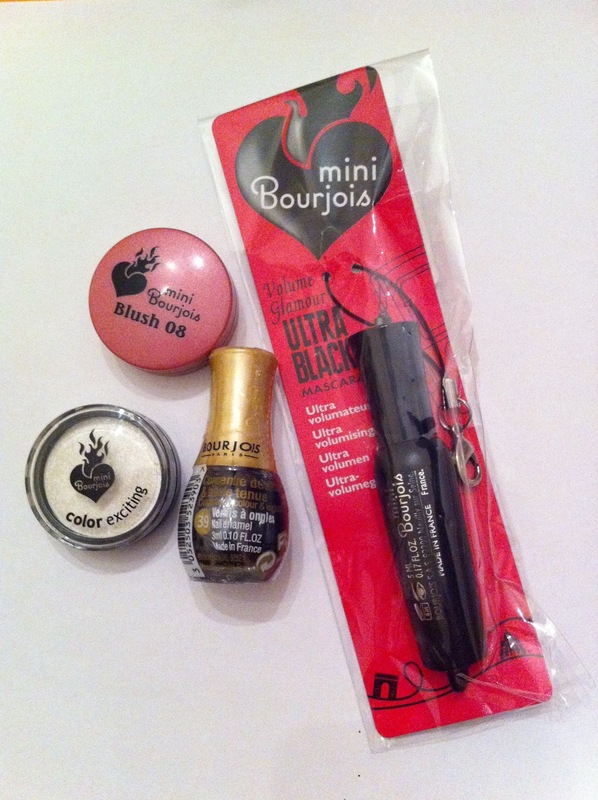 hiya.. fantastic giveaway.. mini cosmetics always come in handy.. especially on nights out or weekends away! I am a new follower as KIM STAM via GFC. I found you through your sisters blog, and am so glad to have found both of you. I totally agree with the "blog snob" crap! Please enter me in your giveaway! plz enter me in the giveaway..
Lovely Giveaway and love your blog. A walk in the stores..